Clear your calendar - It's going down! Obsidian Vienna kicks off on April 2nd, and you're invited to take part in the festivities. 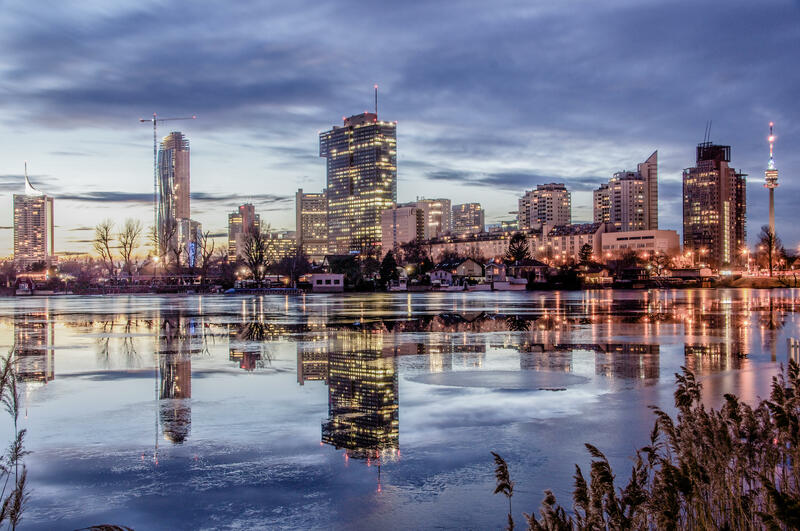 Vienna is our meeting spot for a day of fun and excitement. Come one, come all, bring a guest, and hang loose. This is going to be epic! The Acolyte. Live in Vienna. Vienna and Copenhagen to feature new Acolyte Medal Card. (Optional) Have your stats tracked during Obsidian events to get a personalized Obsidian performance report via email. Must be a paid participant in either Primary or Satellite events AND checked in onsite at the event with Niantic or its designees. Gear up for Obsidian. Whether you choose to participate at the free level, or the Very Rare level, we look forward to seeing you there. Note 1: You may buy multiple kits, but will receive only one (1) Obsidian Medal Card. Must sign up here. Note 2: You, or a designee with your ticket, must be present at the event in order to pick up your paid (Common, Rare, Very Rare) kits. You may buy a kit(s), send your ticket(s) to someone else, and have that person pick it up as long as they bring your PRINTED ticket(s) and are listed as the designee. Those kits will not include Obsidian Medal Cards. If you are purchasing an Obsidian Supporter Kit, please do not also register for a free code; all paid kits contain an Obsidian collectible card redeemable for an Obsidian medal. Obsidian Medal Card, Common Load Out Card, Obsidian Sticker, Obsidian Wristband. 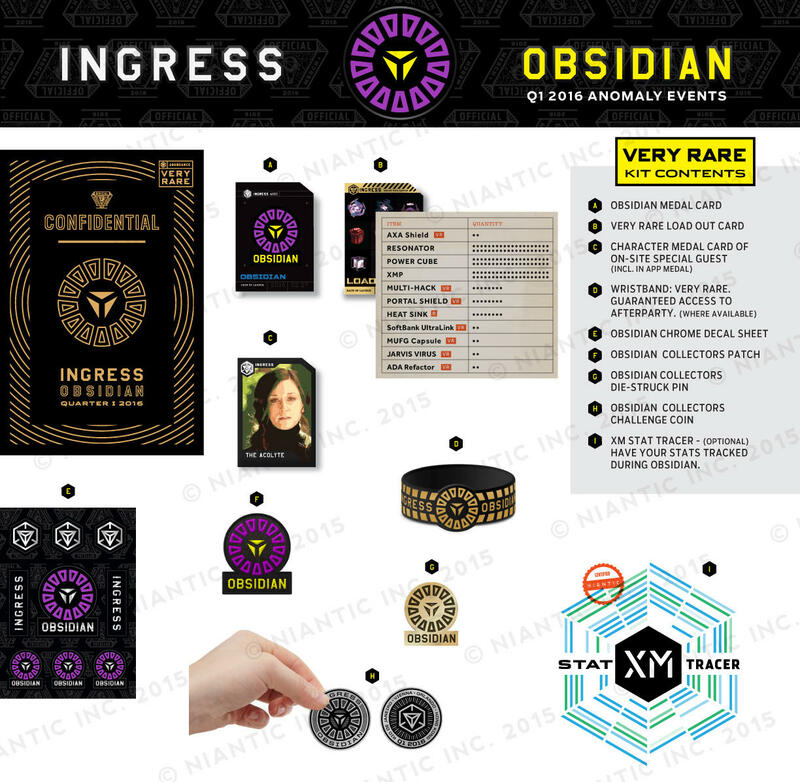 Obsidian Medal Card, Acolyte 2016 Medal Card, Rare Load Out Card, Obsidian Sticker Sheet, Obsidian Collectors Metallic Pin, Obsidian Wristband. Obsidian Medal Card, Acolyte 2016 Medal Card, Very Rare Load Out Card, Obsidian Sticker Sheet, Obsidian Collectors Metallic Pin, Obsidian Patch, Obsidian Collectors Challenge Coin, Obsidian Very Rare Wristband. Guaranteed access to Niantic afterparty. VIP access for special guest signings (Acolyte). 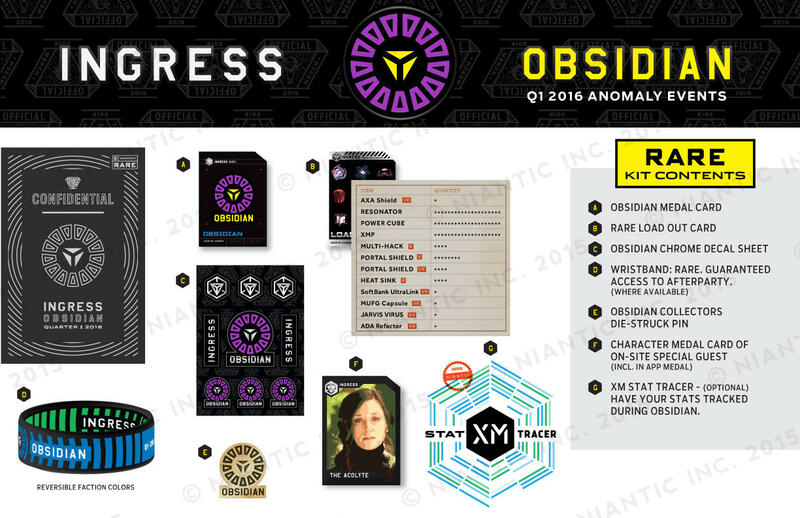 Pick up your Obsidian Supporter Kits the night before the XM Anomaly. 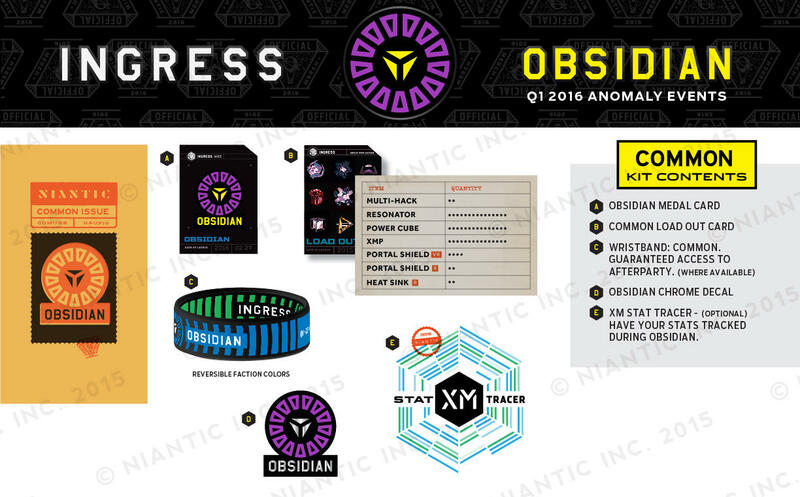 Pick up your Obsidian Supporter Kits the night before the XM Anomaly (Paid Kits Only).